My songs of praise for coconut water as post-run rehydration potion of choice are often met with glares of scepticism. And I get it, I honestly do. I totally agree that nothing shouts "soapy dishwater" more than a lukewarm coconut concoction forced down in the name of healthy living. But hear me out. Just like you wouldn't sit down and sip a lemon-and-lime sports drink with your friends around a campfire, coconut water also has its time and place. Use it correctly, and I can almost guarantee that you'll soon add it to the top of your list of post-run rehydration favourites - promise! It's definitely on J Bear's favourites list! Pure coconut water is not something you sit and sip with your evening meal - it's something that you glug down after a hot and sweaty workout. This obviously implicates that you need to be very thirsty to truly appreciate its awesomeness. Trust me: Nothing quenches a thirst more effectively. 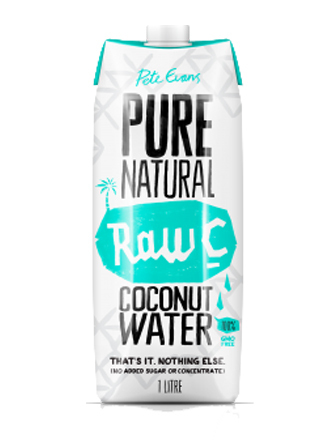 Tried pure coconut water and it ain't your thing? Or hesitant to give it a try to begin with? Try a coconut water/pure juice mixture first. Note that I'm not suggesting that you try a sugar-laden concoction filled with preservatives and other junk - read the label carefully. 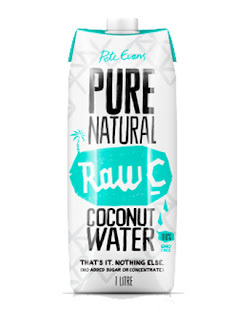 There are some fantastic coconut water and pure juice mixtures on the market. Just like any other sports drink, coconut water is best served ice-cold. Do yourself a favour: Pack a cooler bag and put your potion on ice until after your workout. You'll be so glad you did. Coconut water is expensive. I know. I use it as a post-run treat once or twice a week, which makes drinking it even more of an occasion. Thankfully brands are bringing out bigger sized bottles/containers that are way more economical than single-serving bottles, so stick to those if you can. Just like most healthy foods and drinks, a love for coconut water requires an open mind and an adventurous pallet. It doesn't taste like cola and never will, so don't expect it to. Instead, it tastes like thirst-quenching goodness in a bottle - which is exactly what it is. Enjoy! Thanks to the ladies from Eat Pray Run DC, You Signed up for What? and Mar on the Run for the opportunity to share these tips for falling in love with coconut water as part of their Friday Five link-up! I have tried coconut water a few times but just could not acquire a taste for it. Perhaps I was buying the wrong brands! You should really try a coconut water/pure juice mix - but make sure it contains nothing else. The pure juice just breaks the soapy taste of the coconut water - it's really good! Save it for post-run, though! Great tips, especially the glug! I don't like coconut so I would have to chug it down lol. 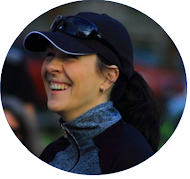 I DREAM about that post-run glug on my long runs, lol! It's what gets me through those last few kms! I like it as long as it's super cold, so that tip is definitely a useful one! I've tried it and not really a fan, but I also am allergic to coconut so don't often engage in anything coconut related. Glad it works for you! Such a pity that you're allergic! I really love coconut in general - I make a pretty mean choc-mint coconut smoothie too :) . I'm not a fan but I think it's great that you love it! I've actually wondered about coconut water for a while now and this does look great. I appreciate you sharing the information, I had no idea about it. Pleasure, Hollie! Let me know if it works for you? I thought I was the only one who hasn't a fan of coconut water...but maybe I should give it another shot? Thanks for the advice! My father-in-law once ordered it as a drink with his lunch... Needless to say he said it tastes like soapy dishwater, lol! Really good after a tough run, though.